No quality disc is without a great opener, and My First is no exception with "Today", which will take you in on its first listen, and then stick you with it's "Today-ay-ay-ay" chorus for the rest of the day on rotation in your head. "You" isn't particularly remarkable lyrically, but damned if it isn't ultra-catchy. Meanwhile, he manages to come up with the first theme song for dollar stores with "99 Cent", and his "Another Day" is almost as melodic as McCartney's. He even demonstrates a facility for the (power) ballad with "Nowhere". And don't miss "Alright", which hits all the right power pop buttons. From now until July 16, The Format is giving away a free download of last year's Dog Problems album at their site. The only catch is that you have to join their mailing list. This is a real treat (no pun intended), as Dog Problems was Absolute Powerpop's #5 album of 2006. So if you've somehow resisted it up until now, there's no longer any excuse to miss out on one great disc. Deleted Waveform Gatherings-Complicated View. This is a new Rainbow Quartz release from the frontman of the Dipsomaniacs, and Bruce at Not Lame is going wild over this one: "Certainly, in the Top 5 of 2007 for my ears. Classic Rainbow Quartz-styled pop, like Cotton Mather and Myracle Brah with lots of Beatles and touches of The Who and exotic Euro psych flourishes." Haven't had a chance to listen too much to it myself, but it's going straight onto the iPod. Shane Nicholson-Faith and Science. About a month ago, it fleetingly appeared on the site as an "advance", but disappeared almost as quickly. Hopefully, it's here to stay this time, but I'd get it while I can. If something ever happened to Neil Finn, Nicholson could step right into Crowded House and I doubt anyone would be able to tell the difference. Shake Some Action!-Live at the Crocodile. These Seattle rockers have one of the best releases of 2007, and it might be even better performed live. You can compare and contrast since the studio disc and this live one are both on eMu. Alex Chilton. A couple of solo Chilton releases have been added to go with the others on the site. There's some great stuff in here, but a lot of crap and weirdness. Proceed at your own risk. Farrah-Cut Out and Keep. These UK powerpoppers sound more like their Swedish counterparts (Merrymakers anyone? ), and their latest release is a must-download, unless you prefer CDs, then it's a must-buy. 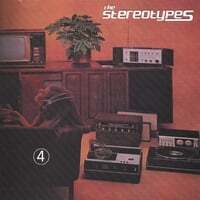 Would it be a bit too glib of me to say that The Stereotypes are a stereotypical power pop band? Glib, maybe, but not entirely accurate. This San Diego band's fourth album (yes, the previous ones were titled 1, 2, and 3) isn't purely power pop, but will still appeal to most anyone reading this blog. The Stereotypes style themselves as "indie", but they definitely fall on the poppier, accessible side of indie music. Opener "All My Life" is a good example of this, sounding a lot like indie darlings Matt Pond PA with its driving, melodic sound. On the other hand, "Love Can Change" would have the hipsters at Pitchfork looking down their noses, as its sunny melody and warm backing vocals make it come off as a slightly heavier-sounding Wondermints tune. "Pink Sand" is hard-driving yet tuneful, but the real standout here is "Our Time", has a great Brit-Pop-by-way-of-Teenage-Fanclub sound complete with a killer melody. "Butterflies" is cut from the same cloth, and is almost as good. Meanwhile "Mansion" reminds me of The Broken West/The Brokedown, and "Happy Ending" is just that. The bottom line: 4 is a very good disc from an overlooked band. And after all, that's why you're here. Arthur Yoria is back with a full-length release, and if you're not familiar with this Houston-based power popper, you're missing out. 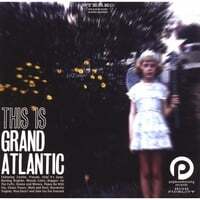 His I'll Be Here Awake was one of the top discs of 2003, and last year's EP/Single Something Must Be Wrong featured one of last year's top tracks in the title tune. Handshake Smiles is another winner, although it's a bit more stripped down than Yoria's previous releases, which isn't unexpected given it was a "bedroom recording". The disc opens with "Should Be", a pretty (and melancholy) number that recalls Jon Brion, while "Clean For Free" follows with an Americana-ish sensibility and wouldn't have been out of place on the new Wilco disc. The title track is vintage jangly pop, and "Love Song In G" is the classic Yoria power pop that we've come to know from his earlier releases. Other highlights include "I Told You Not to Write Again" (power pop complete with banjo! ), "Sandy", and the wistful closer "Trash Bag", which evalulates a long-term relationship with an understated beauty, both lyrically and melodically. 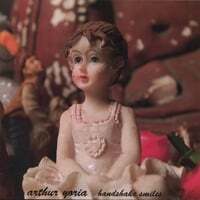 Handshake Smiles is a triumph for Yoria, who's managed to avoid repeating himself without sacrificing his tunefulness. 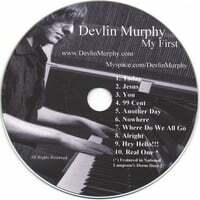 First of all, the disc is currently IN STOCK at CD Baby. Again, for now. Heh. The more interesting news is that Josh has launched his own myspace page, separate from the March Hares page. And there's a new song on the page, "Bigger Than Life", which is pretty good and of a piece with the songs on the disc. Also new on the CD Baby page is a bunch of links to various online digital music sellers that are carrying the album; the best deal appears to be Bitmunk, which has it at 65 cents a track. This will likely be the cheapest you can find it until and unless it appears on eMusic. One of the first EPs we featured on the site was Chatterbox, the debut of Frankel (Michael Orendy). It was an impressive debut, filled with a sound not unlike pop maestros like Jon Brion and Elliott Smith. But the key question for anyone who puts out an excellent EP is whether they can sustain that success when it comes time to put out a full-length. 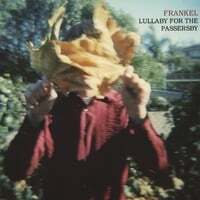 Fortunately Orendy has passed his test with flying colors, and Lullaby For The Passersby is more of the same high-quality pop that the Chatterbox portended. "Thermostat" is a fine opener, in the vein of Smith's Figure Eight album, and "Tooth Decay" might be something that Brian Wilson would have put out today had he come up in the indie rock scene. Meanwhile, "X Marks The Spot" is a fully orchestrated marvel that indicates Orendy's ambitious approach to the album; "New Authority" is an amiable mid-tempo popper with a great melody; "Red Part of Town" is a jaunty, fun-filled number complete with kazoos (! ), and "Curtain Calls" is where Smith meets Brion once again. Don't pass this one by. And now for something completely different. 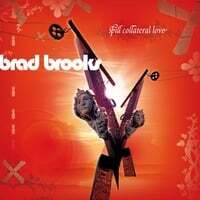 Brad Brooks stretches the boundaries of power pop with Spill Collateral Love, a tour de force of different pop stylings that share the same level of inspiration. I've seen comparisons of Brooks to a number of different artists, with the consensus being that he's Freddie Mercury meets Guided by Voices. There's certainly an element of that in there, but there are several others that shine through. For example, the leadoff track "Love On My Sleeve" builds to a Rufus Wainwright via Thom Yorke crescendo that never wears out its welcome over nearly six minutes. "Lathered In Cream" is the closest to straight-ahead power pop, but it adds its own subversive GbV element as well. Other standouts include "The Loon of Altitude" (which starts off as a poppy-California-sounding ditty, only to dissolve into a "I Want You (She's So Heavy)" wall of sound, only to dissolve again into some ragtime piano with unintelligble whispers), "Francis of Alaska" (Freddy & Rufus again), the near-jangle of "The Sonic Twins", and the 40s-style crooning of the finale "Luccurious Latitude". Spill Collateral Love is the power pop equivalent of an art film, and although it my lack the immediate hooks that we normally deal in here, it's worth the effort to explore. ...but a great album nonetheless. I'm speaking of Jason Isbell's Sirens of the Ditch, due out July 10 on New West Records. For those not familiar, Isbell until recently was one of three principal singer/songwriters of the great alt-country/southern rock band Drive-By Truckers, and in my opinion was responsible for the true highlights of the three most recent DBT albums. He's an extraordinarily gifted songwriter, both observant in detail and thoughtful in concept. You don't have to be a fan of DBT's genre to appreciate songs like "Outfit", "Danko/Manuel", "Decoration Day" or "Goddamn Lonely Love", and now he gets a full album to himself, of which I've been fortunate enough to have an advance copy. At this point, I'll direct you to his myspace page, where you can hear three songs off Sirens, but take special note of "Dress Blues", a wonderful and heartbreaking song about a high school buddy of his who went off to Iraq and never came back. "Grown" is another winner, as its basic melodic hook keeps me coming back. Again, it's not power pop (although the disc is less, say Skynyrd-sounding, than DBT), but it's good stuff and I figure I'd drop this comment in before it shows up rather high on my upcoming top 50 of 07 list and some of you might wonder "what the heck is that?". The Rewinds-The Rewinds. This disc landed at #32 on my top 100 from last year, and you can read more about it here. Wiretree-Bouldin. Back at the end of February when I did my first (and only, to date) list of the best of 07, this one was #2. It should still be pretty high up there when I do my planned top 50 of 2007 for the midyear around the end of this month. The original review is here. Chris von Sneidern-White Lies. CVS' 1994 release is now available. You generally can't go wrong with him. The Lodger-Grown-Ups. Excellent new brit-pop band. Perhaps the biggest criticism aimed at eMusic is that they don't have many "big name" artists available on their site. Of course, that's not something I concern myself much with as I tend to concentrate on independent power pop artists. Nevertheless, it's still a big deal when a big name shows up on eMu, and there can no bigger name than Sir Paul McCartney. His new release, Memory Almost Full, makes it bow on eMusic today, so here's your chance to legally download it for a fraction of what it would cost on iTunes or elsewhere. How is it? I've listened a couple of times myself, and like most McCartney solo releases, it tends to be a bit inconsistent. Nevertheless there are a few gems in there, and if you'd rather cherry pick, grab "See Your Sunshine", "Only Mama Knows" and "Vintage Clothes". If you like the Brit-pop jangle of bands like Teenage Fanclub, The Go-Betweens, The Primary 5 and others, you're going to love Worry a Lot from Brisbane's The Zebras. This largely overlooked 2006 release would definitely have wormed its way onto my Top 100 list had I heard it then, but as they say, better late than never. There's a fairly uniform consistency throughout this disc, making highlights tough to pick out, but if pressed I'd go with leadoff track "You Look Ready", the title track, and "Patient to the End", which sports a truly lovely melody. The disc is only available as an import outside Australia, but it's worth seeking out.